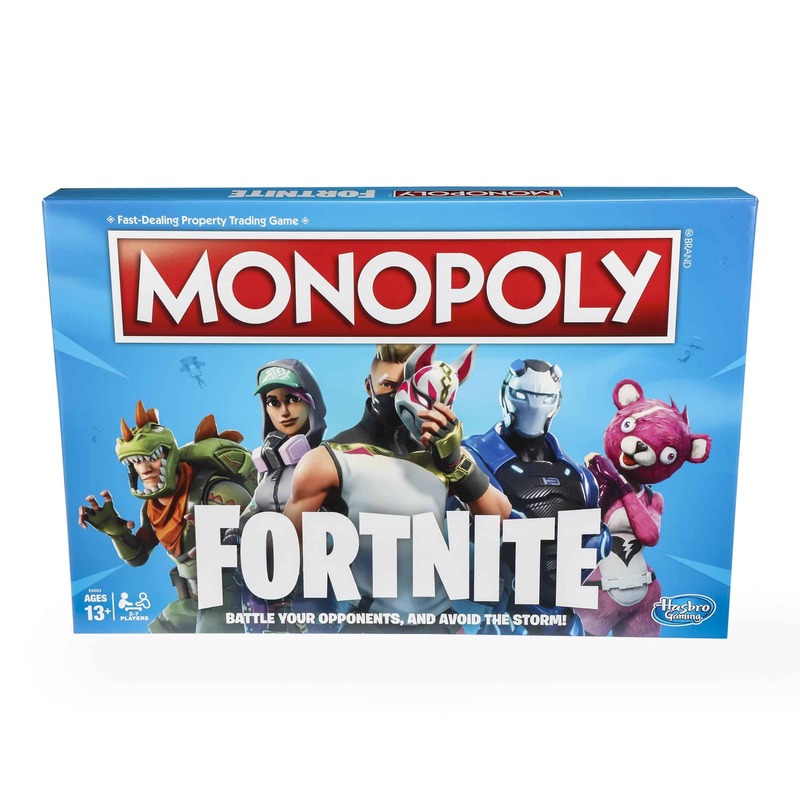 In this thrilling Fortnite edition of the Monopoly game, players claim locations, battle opponents, and avoid the Storm to survive. The gameplay, design, and components of the board game include elements inspired by the video game including Fortnite locations and loot chest cards. Instead of Monopoly money, players earn Health Points (HP).First choose a character: pick from 27 awesome outfits. Then, it’s time to battle. The action die lets players pick up health packs, build walls, and damage their opponents. Every time a player passes go they unleash the Storm; avoid it or lose HP. Like in the Fortnite video game, the last player standing wins!